The base of the 5th metatarsal receives a reduced amount of blood flow which predisposes it to injury. 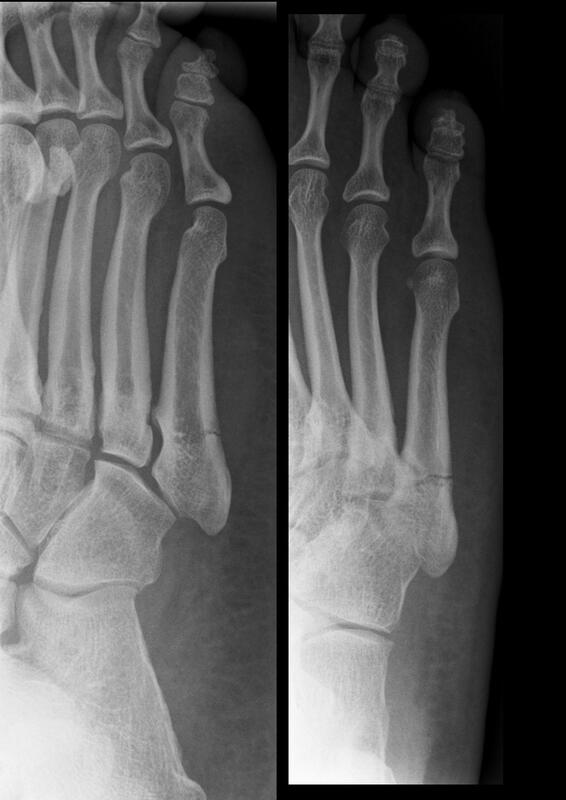 The Jones Fractures are classified by the location within 1 of the 3 zones along the 5th metatarsal. It has been reported that nearly 30% of all collegiate injuries are to the foot/ankle. Jones Fractures are also known as “Dancer’s Fractures”. Following the immobility time period, seek help with your rehabilitation from a Physical Therapist. Foot fractures often end the season for many athletes and improperly treated fractures have even ended careers. Several popular athletes have been sidelined due to a foot injury known as the Jones Fracture. Proper diagnosis is essential. Sometimes the Jones Fracture can be treated through rest and rehabilitation. Rehabilitation seeks to restore normal foot mechanics, strengthen the core and lower extremity musculature and implement the use of a device that will help to “unload” that part of the foot. Other times the injury is so severe that it will require surgery. The Jones Fracture is named after a British Orthopaedic surgeon, Sir Robert Jones. He was the first to describe the fracture in the foot that occurs in the base of the 5thmetatarsal bone on the lateral aspect of the foot. The fracture is thought to occur secondary to the accumulation of stress and pressure that is placed on that part of the 5th metatarsal. The compression and sheer forces that are placed on that part of the bone are enormous in some people and body weight and activity level can pre-dispose them to the Jones Fracture. The bone accepts most of the body’s weight during gait and the Peroneus Brevis muscle inserts to that part of the metatarsal. The muscles strong contracting force to help stabilize the foot / ankle from the lateral side can increase the pressure applied to the base of the bone. The fractures are described by the area that they occur and it is one of three zones of the metatarsal. The first zone is a “chip” or avulsion fracture and treated conservatively in a cast or boot. The fracture that occurs at the junction of the base and the shaft it is in zone 2 and it might be fixed surgically. Lastly, a fracture in the shaft or zone 3 can take a very long time to heal and is frequently treated by performing surgery. The occurrence and type of Jones fracture corresponds with body weight and activity level. Recent studies using wireless, pressure sensor insoles has enabled healthcare professionals and researchers to study the amount of pressure applied to the different parts of the foot during high level activity. Walking, running, jumping and agility type “cutting” can now be studied. Previously, the use of force mats or plates were not able to capture the true nature of the mechanics of the foot during high level activity. These new studies indicate that a person that with a cavus foot or a “high arch” is more susceptible to these fractures. These people must pay close attention to the amount of high-level activity that they perform and wear shoes designed to support and dissipate stress within their feet. Unfortunately, these fractures don’t usually heal quickly. The difficulty and delayed healing has lead most surgeons to perform surgery on the bone and fixate it with hardware. The person is then required to remain non-weight bearing until adequate healing has taken place (usually 4-6 weeks) which is determined by an X-ray. When the enough healing has occurred the person is allowed to transition to full weight bearing while wearing a controlled ankle motion boot or CAM. These boots have been shown to reduce the amount of stress and pressure that is placed on the fracture site. These boots can be removed so the patient can also begin a Physical Therapy rehabilitation program. Physical Therapy will help to speed up the healing process. The therapist will initiate a program that will focus on the reduction of swelling and pain. The second phase of the program is to re-establish the normal motion in the foot and ankle. Lastly, when the doctor has given the ok, the patient will begin to strengthen the foot musculature. Prior to this time period, many exercises will be introduced into the program but the focus of those exercises is not to strengthen the foot and ankle but to aid in regaining motion. The core musculature can be strengthened from day one. The bone has to be sufficiently healed to begin the strengthening program because a large part of that aspect of the rehabilitation program requires the patient to put their body weight or more onto the injured foot. When give the “ok” by the surgeon to transition to full weight bearing the “true” strengthening process commences. Visiting a Physical Therapist is easy. You do not have to go to your doctor first. The Physical Therapist can evaluate you and treat you without the doctor’s prescription, but in the case of a post-operative visit it would be best to have the doctor’s protocols for that particular condition. 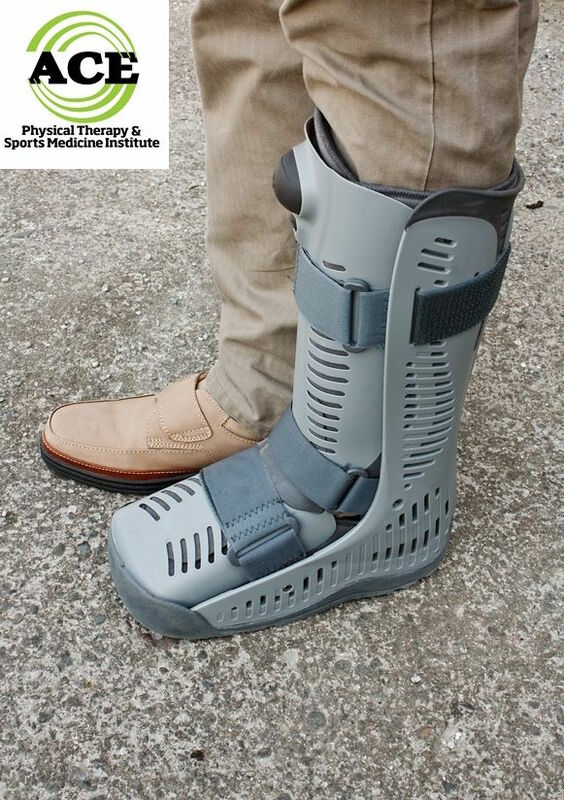 In the case of the Jones Fracture, the Physical Therapist needs to know the weight bearing status and any other restrictions if there are any. Jones Fractures are difficult to treat because they do not heal quickly. The rehabilitation process is slow and tedious because too much pressure applied to the healing fracture site at the wrong time can have very negative effect on the status of the bone. The rehabilitation of a foot that has suffered a Jones Fracture must be a team effort to be successful. Not knowing the status of the fracture site can cause major set-backs and lead to a prolonged “down-time,” but proper treatment can help to restore full function within the involved leg.